Acura ILX Sedan – a good car option for travel enthusiasts? 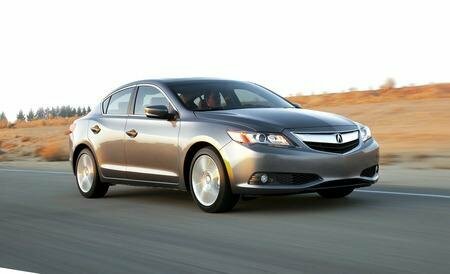 Home » Travelling Tips » Acura ILX Sedan – a good car option for travel enthusiasts? If you like to wonder around during your travels, you might end up on roads that are not exactly vehicle friendly, or on the contrary, on highways with a lot of traffic that exposes you to crash risks, so having an upgraded car safety system might come in handy when you least expect it. The vehicle comes with an advanced stability control system and other useful safety features, and according to Edmunds’ review on the 108 Acura ILX Sedan, it excels in terms of road safety. You probably do not want to go on a long road trip, and at the middle of your travel, for your car to break down. Seeking a vehicle that is described by dependability is key, and this Sedan can actually pleasantly surprise you in this department. As long as you pay attention to the basic maintenance tasks required, you will not face any inconveniences while driving. Moreover, the car’s engine is also known for withstanding the test of time, so your initial investment will pay off in the long run. Because traveling to various destinations by car involves spending a lot of time on the road, using a vehicle that is also fun to drive can make a difference. If you ask Acura ILX Sedan owners, they will be able to tell you that driving this particular model can bring you that thrill and excitement drivers love. If you are the type of person who makes the time to go on road trips often, having a car that provides you with a few useful driving advantages will certainly come in handy. The aspects mentioned above are the ones that make the Acura ILX Sedan a perfectly good choice for travel enthusiasts, so if you were having doubts on what to choose, you should research the characteristics of this model more, and you will conclude for yourself that this would make a buy you will not regret.